Posts by Jano Klimas about anything related to music, guitars and festivals. Come and listen to poems turned into songs by UBC music students. Sammy Shatner turned my poem Silence into a beautiful song. Thursdays Writing Collective invites you to celebrate the launch of our seventh anthology, Voice to Voice! Join us for a fun evening of socializing and celebration. The evening will include a SHORT reading (15mins), catered free snacks, book sales and some silliness. Details will be posted asap. This book of poems, stories, songs and memoir by members of the Downtown Eastside community of Vancouver represents a year of thinking about music and transformation. 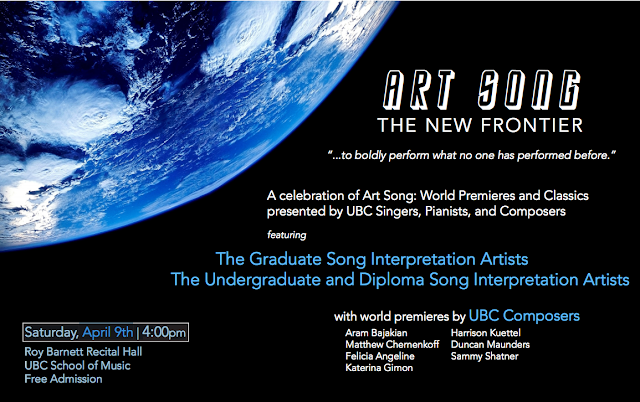 It also represents our collaboration with six composers from UBC School of Music who turned 11 of our poems into original new music art songs. Our collaboration was facilitated by Laura Barron of Instruments of Change. Beautifully designed by Doris Cheung, Voice to Voice includes score excerpts of the songs which were performed in two concerts (at UBC and at St James Anglican Church). The book was funded by the community via an Indiegogo campaign and we thank Canada Council for the Arts, UBC School of Music, Peter Wall Centre, Instruments of Change, Carnegie Community Centre and SFU’s Writer’s Studio for support in many guises. Written, created and brought to life on the unceded territories of the Squamish, Musqueam and Tsleil-Waututh peoples. Main entrance: 5 feet wide, double doors that open outwards, wing handles 41” from ground. Weather permitting, doors to street will likely be left open. There are no steps to entrance. The space inside Lost & Found Café is stair-free. Signage is a sandwich board on the sidewalk. There is parking (paid by metre) on Hastings St directly outside and opposite the café. There are bike lock-ups directly outside café, as well as the Hastings bus stop. There will be transit tickets available at the event for those who need them. This event is a scent reduced space. Please refrain from wearing heavily scented perfumes and hygiene products. Readers will use a microphone and the space has minimal echoes. Lighting is even throughout space. There are a variety of seating options. A variety of upholstered seats & couches with and without armrests. The majority of seating consists of unpadded wooden chairs with no armrests. There will be space for those who wish to stand. There will be priority seating reserved for elders; these seats will be marked “Reserved for elders”, please help yourself as needed. If you need a particular kind of seating for your physical comfort, please contact us beforehand and we will have that set aside for you. There will be snacks provided for all attendees. There will be vegetarian options. Water is freely available. Alcohol is not provided but is available for purchase in the space. Counters are 3’3” from ground. There will be two All Genders washrooms for the event. This accessibility audit was done using part of the information provided in the RAMP project audit (http://radicalaccessiblecommunities.wordpress.com/radical-access-mapping-project-vancouver/). Thank you to RAMP for giving us feedback on this audit. On the night of July 3rd, 2014, I was a doctor, an artist and a winning writer. After 30 weeks of laborious drawing and preparing our final show, a group of 16 illustrators and picture book makers exhibited their work in the Culture box, Dublin. We were led by Adrienne Geoghegan. The night before, we hanged our show as illustrated by the photos at the bottom of this post. An illustrator Mr. Clarke opened the night with a story about a British writer who once told him that people talk shite at the openings of exhibitions; it’s such an Irish thing. Wine was pouring, but it was just enough to not make people drunk. The DJ Doolittle played hits from the 60’s. When Mr. Clarke attended to his keynote duties, he chatted with the artists. I told him that I was one of the people that he mentioned in his opening address. I had great difficulties in fitting the drawing into my day as a scientist. “Are you the doctor, then?” he asked. “Well, I’m a psychologist by background, but I work with doctors.” He wished me well in trying to integrate both careers. Combining Art& Science in one life is like churning 2 things at the same time. And yet, I felt a sense of worth, success at the exhibition. I realized that I have an impact on people, they like me and my work. I’ve never fully realized this until that night. “Are you one of the artists?” Somebody asked me at the end of the night. “Yes,” I replied proudly. The 2014 Aindreas McEntee prize, is open to members of Irish Medical Writers, a group of doctors and journalists specialising in healthcare. I’ve submitted my entry on the day of the deadline, expecting little more than introducing myself to the arena of Irish medical writing. The third place came as a surprise. The award ceremony was on the same night as the tantalizing illustrations exhibition. Thankfully, they gave me the prize at the beginning and release me to go for the exhibition. At the end of the night, everybody has won and we all got prizes (dodo bird effect). The guitar festival in Healdsburg, just north of Santa Rosa, California (August 9-11), was busy with wonderful luthiers and some great players performing concerts. Among the players was Kelly Joe Phelps, also teaching a workshop for advanced bottleneck players. For this year’s birthday, my wife surprised me with a ticket for the workshop with Kelly Joe Phelps– my guitar hero. She didn’t know much about guitars, or about my limited bottleneck skills, but most importantly, I did not have an acoustic guitar. My classical guitar had nylon strings which were not good for bottleneck playing. So, I had a ticket for the workshop, but no guitar. I asked my friend who promised to borrow me his acoustic guitar. As most guitarists, he loved his guitar and told me not to leave his Ibanez anytime during my flight to Santa Rosa. I understood. I have never flown with a guitar before so I called the airlines a day before the flight and they told me that I have to check-in my guitar. If I wanted to take it with me on board of the airplane, I would have to pay $300. My friend did not know what was happening when I showed up at his door with his guitar, but borrowed me his hard case in case I needed it. I went to borrow another guitar. It was surprisingly quick and I was cycling back with a Takamine guitar on my back within hours. When I arrived home, I was disappointed to find out that the guitar did not fit the borrowed case. I forgot that the cases are not universal. There was no time left to try finding another guitar and no point in flying with my classical guitar – I departed guitar-less. When we arrived to Santa Rosa, we told the cab driver to take us straight to the Bananas guitar shop. No luck there. A nearby pawn shop had a selection of used guitars at reasonable prices but when I said that I plan to return the guitar back on Monday, they refused to sell me one. Makes sense – they sell, they don’t rent. My last hope was the second music store in the town – the Stanroys. As I told them my story, they scratched their heads and looked at me pitifully. There were no guitars for rent in this store. Steve, the new manager, talked to the former owner and decided to borrow me his own guitar. I was amazed about his generosity. We arranged a place and time for the pick up and went to get some cash for Steve’s deposit. The next morning, we woke up in an AIR B&B accommodation and I went to explore the house. The first thing I spotted in the living room was a Tayloracoustic guitar. It hanged on the wall next to the window, untouched and covered with a thin layer of dust. The house owner encouraged me to take it and play it, so I did not need Steve’s guitar any more. I was happy and content that I finally found a guitar at the end of my journey, just a couple of hours before the workshop. The lesson I’ve learned through this guitar story was to worry less about things – they will always work out somehow at the end of the day. All I need to do now is to put this wisdom in practice. PS. In case you wonder how the workshop went, it was great: we talked and played and I got to know my guitar hero better.